Hello there! 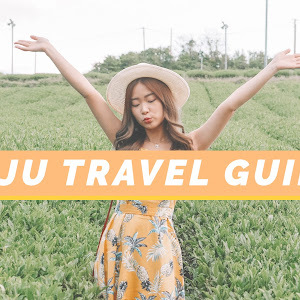 This post is going to be about JEJU. As you may know from my Instagram, I just came back from a 5D4N trip in Jeju and here am I, documenting my journey and sharing with you my itinerary as well as travel guide in Jeju! Before that, I would like to give a special shoutout to KOREA TOURISM ORGANISATION Malaysia (KTO Malaysia) for sending me to Jeju this time!! I was beyond excited upon receiving their collaboration email because I've always wanted to visit JEJU after hearing so much about this island - where people called it the "Hawaii" of Korea. 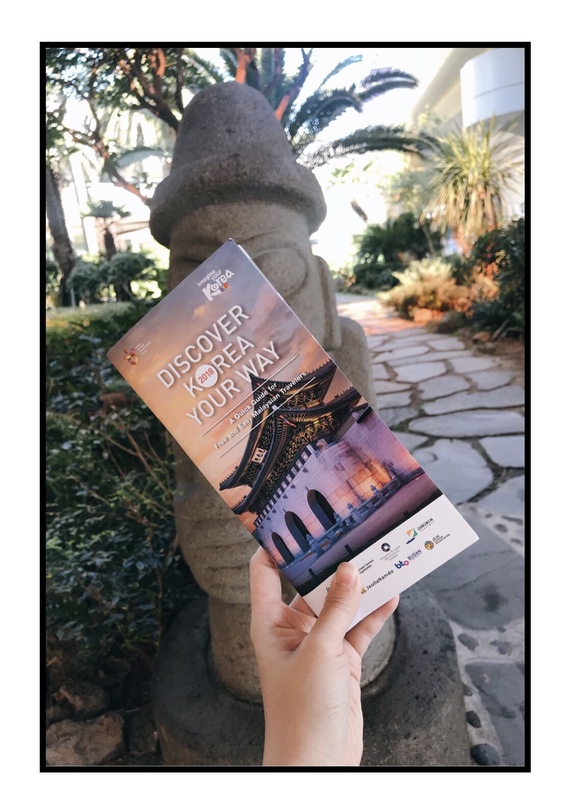 The reason why KTO Malaysia sent me to Jeju this time is because they would like me to help increase awareness for their DISCOVER KOREA YOUR WAY (DKYW) Coupon Book. So this coupon book consists a lot of deals which will definitely help you to save a lot on different aspects such as transport, hotels, activities, etc) during your trip (not only in Jeju, but in other cities in Korea as well). 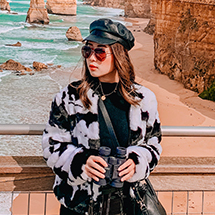 The DYWK coupon book can be redeemed for FREE if you're traveling to Korea from now onwards to 31st March 2019. 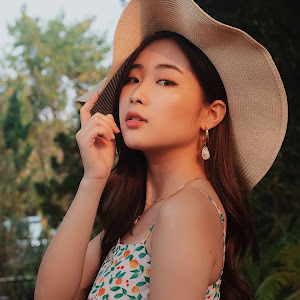 Basically you just have to register and complete a survey in order to get the coupon book - click HERE for more info on how to redeem the coupon book. Internet connection is super important when navigating around Jeju!! Not only does it come in handy when you need to look up for routes, it also helps to keep you connected all the time because of its unlimited data. I booked this device from KLOOK and it costs only RM100 for 5 days, which is super affordable!! You can also share this device with your friends and family, so why not?! BOOK YOUR 4G POCKET WIFI ON KLOOK. I believe transportation is definitely one of your major concerns when it comes to travelling in Jeju. I would say SELF-DRIVING is definitely the best option, because transportation in Jeju is pretty limited (they only have taxi and bus). 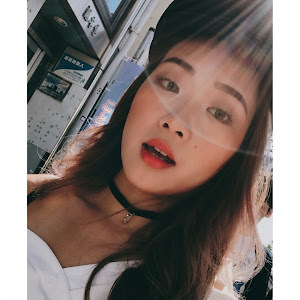 Self-driving allows you to travel at your own pace (super convenient, trust me) and it's actually pretty easy to navigate around with the GPS in car OR with the Naver Map app. 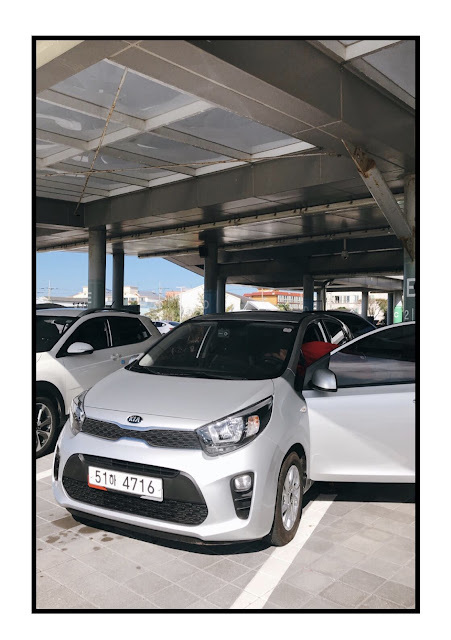 Where to rent a car in Jeju? We reserved our car online from Lotte Rent-A-Car (with our DKYW coupon) prior to our trip. They have several car options and we went for the KIA Morning Compact. It's the smallest car and cheapest option in their list and it's definitely fuel-saving (we only had to pump the petrol once throughout our trip). Since I was only travelling with my boyfriend, we thought this would be the best option. I would totally recommend this car for those who are travelling in 2 or 3. Important note: International driving license is required for self-driving in Jeju. What is the cost of renting a car? 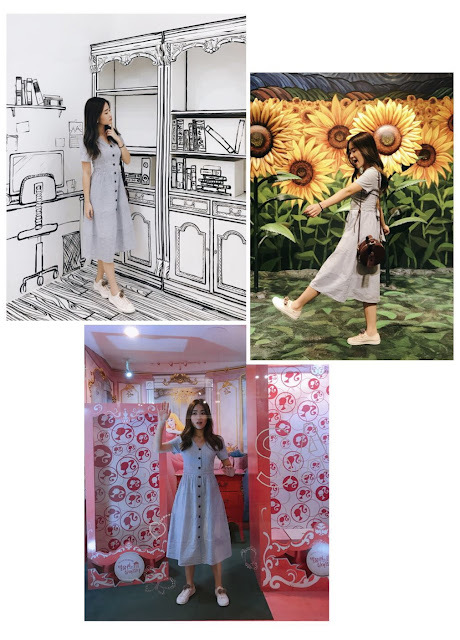 With the DKYW coupon, we managed to get 48% OFF from the regular price, which is such a great deal (do note that the discount varies on the season as well)!! So we paid 236,000 KRW (approximately RM880) for the car rental for 5 days in Jeju. I think the price is really reasonable! How to pick up your car from the airport? Right after you reach the airport, head towards Gate 4 and walk to a "car rental" area where you can board a shuttle bus for free to the Lotte Jeju Autohouse from the airport. You can then pick up your car from the Lotte Jeju Autohouse. Before the trip, I had a lot of concerns about navigating around Jeju. So many "What ifs" like what if we get lost driving in Jeju? What if we couldn't find our destination? What if there's no place to park? DON'T WORRY GUYS!! The pre-installed car GPS helps a lot and even indicates where is the nearest parking lot and gas station, but we also use the Naver Map App if we couldn't find the destination with the car GPS. The app is available to download for free on Apps Store and it's in English! 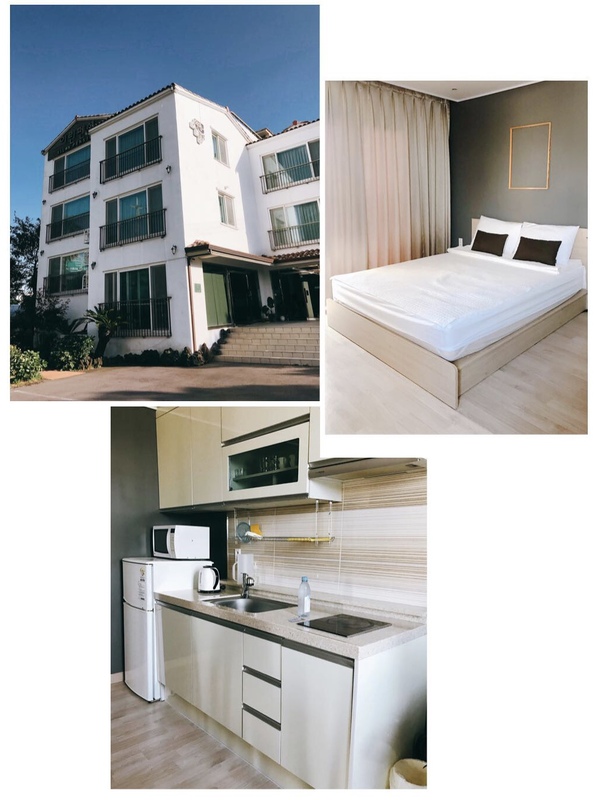 We stayed at 2 different locations in Jeju - we spent the first two nights in Jeju-si area (north and near airport) and the remaining two nights in Seogwipo area (south). It's highly recommended to stay in 2 different areas in Jeju if you don't want to drive back and forth after a long day (the distance from the north to south takes about 1 hour). 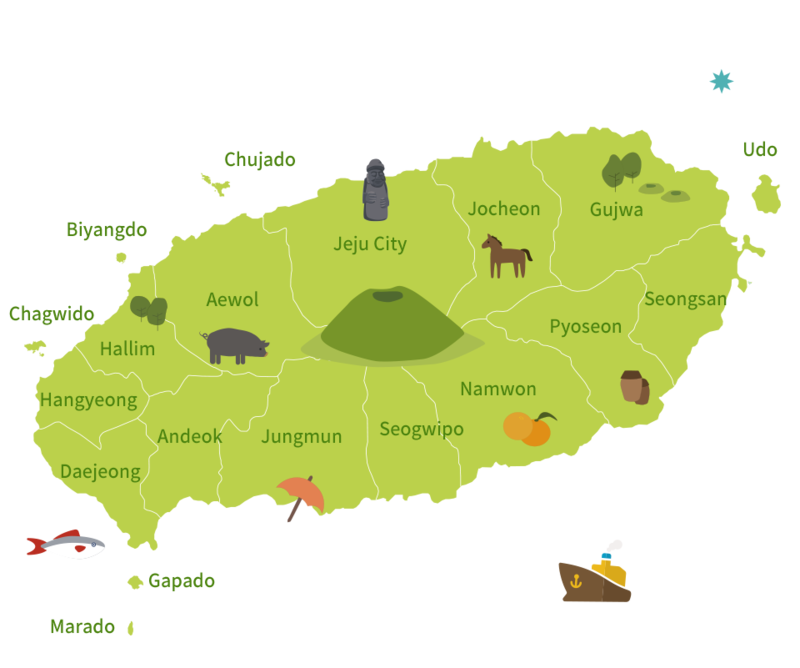 To give you a better understanding, here's a simple map illustration to show you the main areas in Jeju! 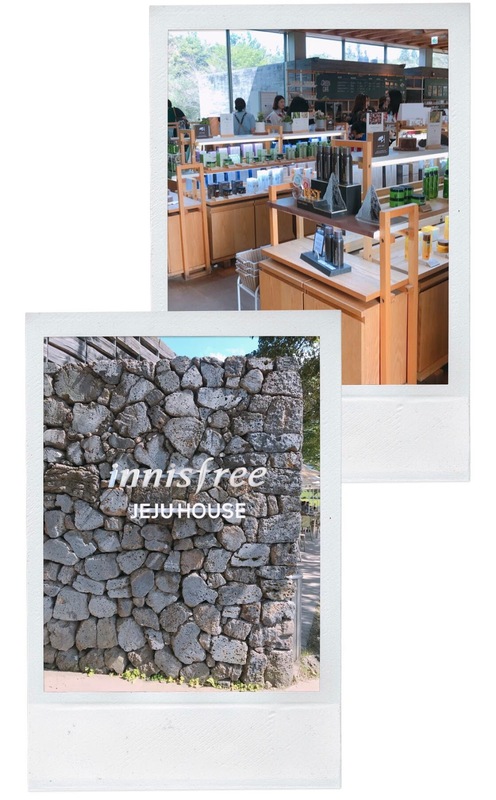 For the first 2 nights, we stayed in AONE hotel in Jeju-si area (north). Although it's a hotel, we actually booked our stay via Airbnb. Our room was really spacious with 1 double bed and 1 single bed and the bathroom is really clean and spacious as well!! Also, this hotel is also pretty affordable; we paid about RM377 for 2 nights including service fees. For our last 2 nights, we stayed at a pension studio in Seogwipo area (south). It's easy to locate and has a private parking space for guests. Besides that, the room is really new, clean and comfortably spacious. Also, there are cooking utensils which you can use to cook if you need to. WiFi, hairdryer, towels and all the basic amenities are included. 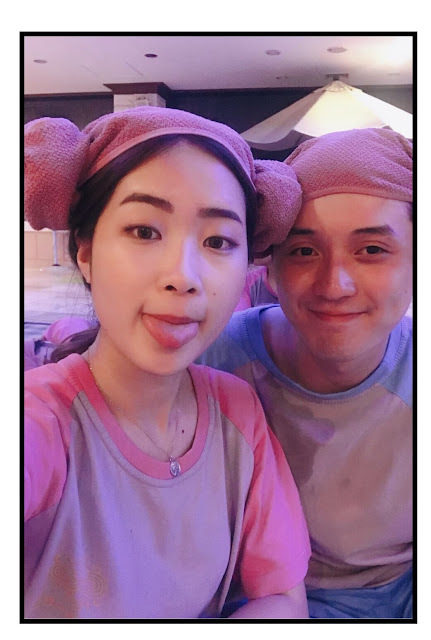 For this, we paid about RM460 for 2 nights including Airbnb service fees. If you are new to Airbnb, feel free to register using THIS link and get RM120 travel credits on your first trip!! Located by the sea, this cafe offers an amazing view of the sunset. The weather was also extremely good during our visit! Be ready to immerse in a vacation mood, and feel relaxed and refreshed! Don't forget to watch the Ocean Aqua musical show and sea lion + dophin performance! It's really a nice beach, but it was too windy during our visit! It's really a wonderful and refreshing experience being able to witness a majestic waterfall right in front of your eyes. I could even feel the water splashing to my face! Entrance fees: 1000 KRW/person (for aged people under 24). A famous Korean BBQ chain and apparently it's GD's fav BBQ restaurant. However, we think it's really worth the hype as the black pork was really tender and juicy!! Learn about the history of KPOP and interact with your fav KPOP stars through the screen! This museum closes at 9.30pm, so if you have nothing to do after dinner, perhaps give this Alive Museum a visit for some fun! Indulge in green tea goodness here! Absolutely enjoyed every dish! Located in secluded area, this cafe can be quite crowded during lunch time! But it's really a beautiful and IG worthy cafe! 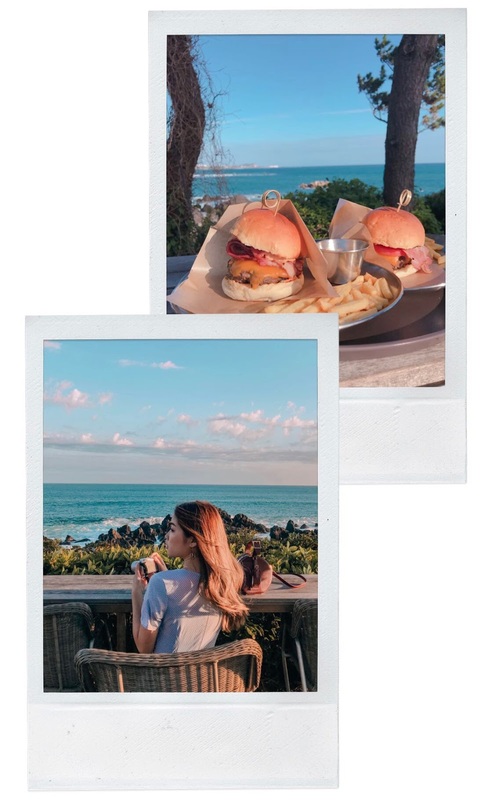 Love this cafe sooooo much because it offers a beautiful seaview with DJ playing live music and we really enjoyed ourselves there; the vibe was really great and relaxing though it's quite pricey, we paid about 40,000KRW for 2 burgers and 1 drink. Cute interior and everything on the menu is Banana-themed!! Found this restaurant through Google and it had a lot of positive reviews. Personally, it's not really up to my liking and I thought it was quite pricey, but my bf enjoyed it! So that's all about my JEJU trip!! 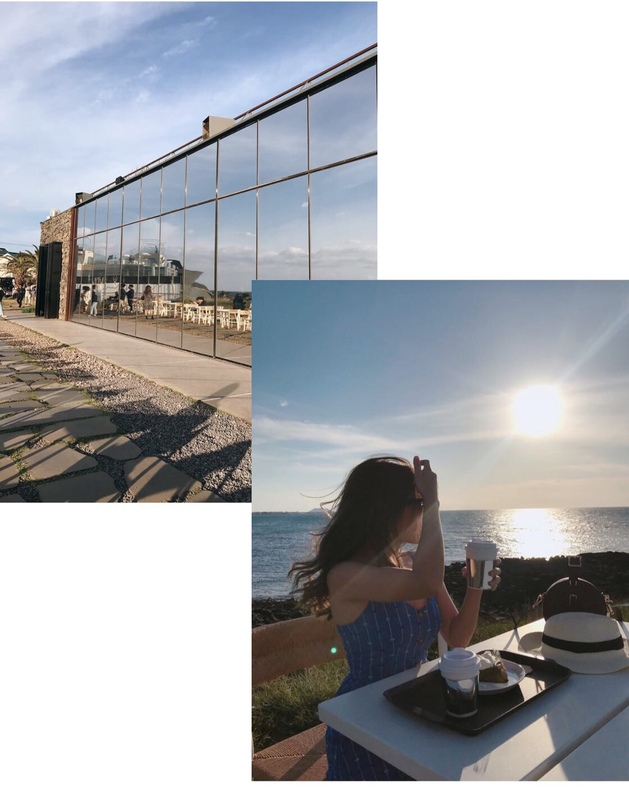 I honestly enjoyed it so much and Jeju is definitely a destination that exudes the "relaxing holiday vibe" perfectly, thanks to its beautiful beaches and lush greenery. This road trip is truly refreshing to my mind, body and spirit. There are actually many other places that I wanted to visit but didn't get to due to time constraint, so I really don't mind visiting Jeju for the second time for another holiday!! 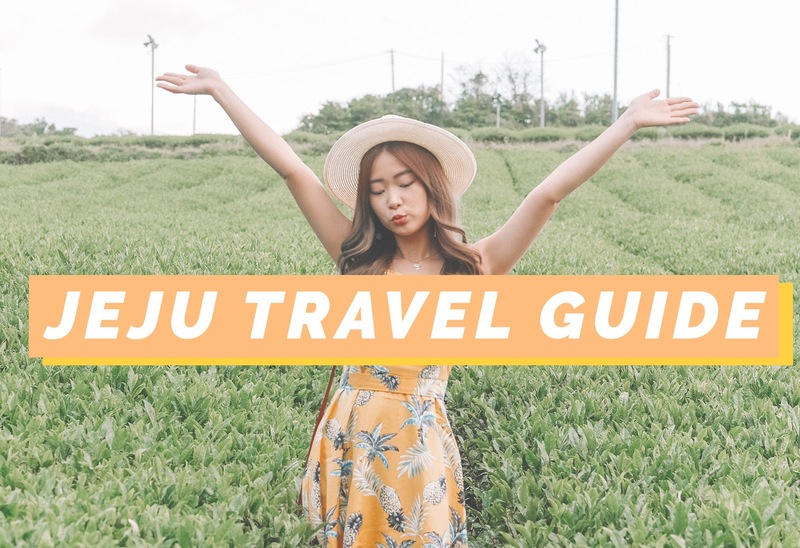 Hope this post will help in planning your upcoming trip to Jeju and feel free to share this with your friends and family if you find it useful! P.S. 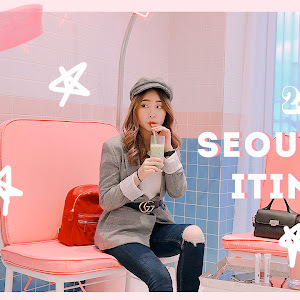 STAY TUNED FOR MY JEJU TRAVEL VLOG! 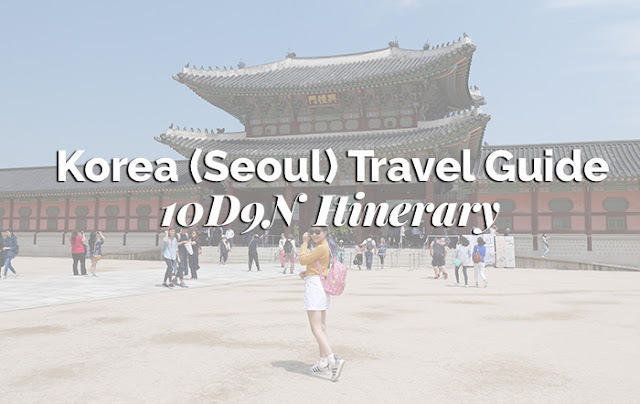 Thank you for such a detailed itinerary❤️Didn’t know a 5D4N Jeju trip could be so affordable! Went here for a great all-you-can-eat buffet and they held nothing back. The food, service and mostly the staff at rental spaces for parties were truly amazing. I was starving and am one of those voracious "sampling" type eaters who has to try everything in a buffet, and I couldn't make it! Your picture are awesome and super duper daebak. Good guide and helpful information for travelers. Your guide really very helpful for us. Thanks for sharing. A Wonderful Tour Experience And very helpful Travel guide for Other Travellers. This is A really Good article about this tour, Thanks for sharing.